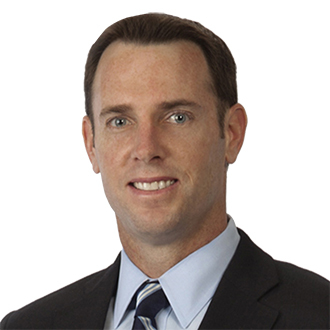 Ed Carlstedt serves as the office managing partner for FordHarrison's Tampa office. His practice focuses on trade secret, non-compete and restrictive covenant disputes as well as representing management in employment law matters, including defending employers against harassment, discrimination and retaliation claims. Ed has extensive experience in matters involving trade secret, non-compete and restrictive covenant related issues, and has handled dozens of evidentiary hearings in federal and state courts in connection with such disputes. He has also defended employers in discrimination, harassment, medical leave, wage and hour and other complex litigation matters in state court, federal court, and arbitration proceedings. Ed routinely counsels clients regarding employment issues that arise on a day to day basis and reviews employment and restrictive covenant agreements. Ed served on the Tampa Connection Board of Directors and was the President of the Tampa Gator Club. He is also a Leadership Tampa Bay Alumnus. Prosecuted numerous restrictive covenant and trade secret cases on behalf of publicly traded and private companies. Defended publicly traded and private companies against parties claiming violations of Title VII of the Civil Rights Act, The Americans with Disabilities Act, the Family and Medical Leave Act, and the Florida Civil Rights Act. December 11, 2015 - "How to Leave the Firm Holiday Party With Your Dignity Intact"